I know you're out there. 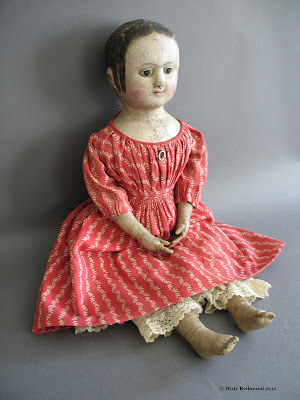 You own an original Izannah Walker doll. What a joy! What a responsibility. What an opportunity! 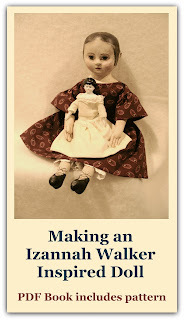 If you'd like to share, please email me about sharing pictures of your Izannah Walker doll here on the Izannah Walker Chronicles. If you'd like to be credited, I'll post your pictures with credits and link to your site. If you'd like to remain anonymous, I will only post the pictures. Thank you to those who have already shared anonymously and publicly. hello Dixie!I have a new picture of I.W . doll in my blog.